Blended with deeply nourishing superfoods, this luxurious oil-based serum offers your face a rich source of polyphenol antioxidants and anthocyanins which help calm inflammation and reduce stress while helping to brighten your complexion and hydrate your skin. We use locally sourced ingredients like cold-pressed raspberry, blueberry and cranberry seed oil from Fraser Valley in British Columbia. Anti-inflammatory and antioxidant rich ingredients like kale oil along with South American sacha inchi, goji and chia seed oil as well as Moroccan prickly pear have also been added to brighten and hydrate skin. For Best Results: Apply 3-4 drops onto your fingers, and gently sweep the serum onto your freshly cleansed face, neck and décolleté. For extra hydration follow with moisturizer and a spritz of our Face Food Mineral Mist to maximize absorption. If you’re short on time, you can simply add a pump into your favourite moisturizer or use on its own. This feels very good on my face. I use it together with the Berry Rich Cream. The Superserum is like the superfood of dry skin. After using for a few days I noticed that my face looks radiant, smooth and perfect for dry skin. I have purchased a variety of products form Graydon, and this along with the Full Moon are my favourites. 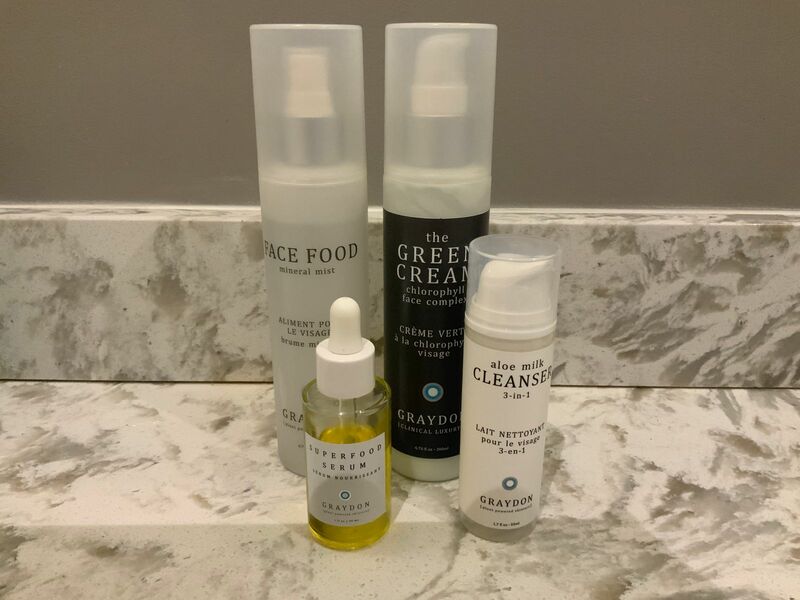 Our two serums even work great used together! You can layer them or mix and apply. The vitamin C in Fullmoon and vitamin E in Superfood works sooooo well to make your skin glow! I have not done my skincare regimen without using this Serum, so I cannot speak to what difference it might be making. However, I can say I like the feel of it and how it feels on my skin. I use this and then lightly mist with the Face Food Mineral Mist and then apply The Putty. Overall, since using Graydon my skin now looks fantastic - and it has only been two months! My skin has returned to its "peaches and cream" complexion look which has not been seen since I entered menopause! I am very happy with everything I am using. Thank you Graydon! I love the way this product makes my skin feel so smooth and looks radiant very fast after application. Be sure to follow instructions when applying. 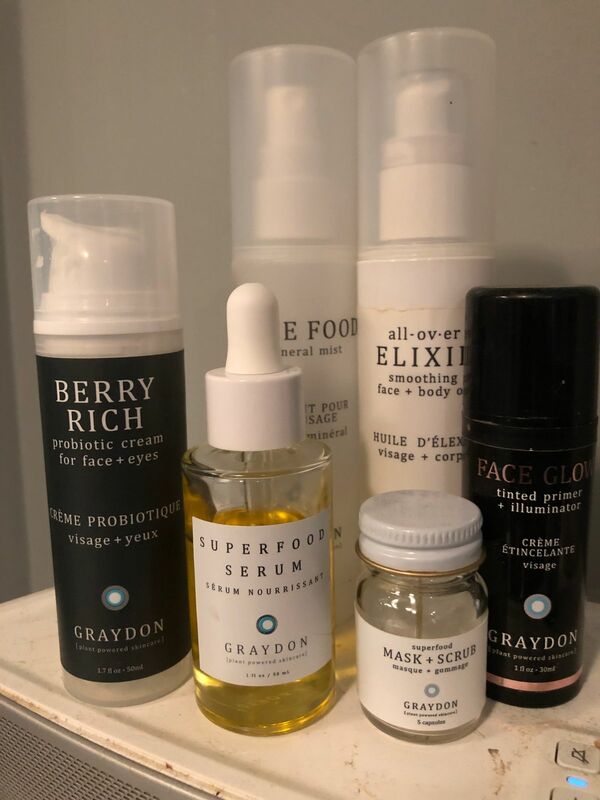 Brian, so glad to hear you love our Superfood Serum - and that is quite a line up in the picture! We love that you love our products!! The ingredients in Superfood Serum are not only yummy and beautiful to eat - but also on your skin too!